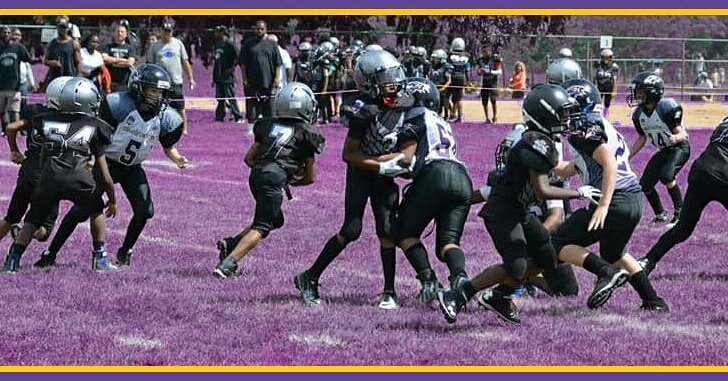 Ravens Vs Olney Saturday! and Pep Rally Sunday!! Lets make this Ravens Weekend awesome! Saturday, lets fly victorious over the Olney Bears! Then on Sunday Lets kickoff Homecoming week with our PEP RALLY!! Come out for the fun and RAVEN PRIDE! There will be games, music and prizes!! Player and Team recognition! We will have a punt pass kick competition, cake walk and Dodgeball (Coaches vs kids). It will be a blast!! The snack shack will also be be open. Our TACKLE HUNGER food drive will be accepting donations at the pep rally as well, and there will be a prize for the team that brings in the most donations! Every little bit helps, and if each raven brought even one item it would do a world of good for those in need!!! Important!!! Updated schedule!! Home games tomorrow!! ALL GAMES ARE AT HOME!! 6-8 Freedom - 11:30 a.m.
7-9 Freedom - 1:00 p.m.
8-10 Freedom - 2:30 p.m.
9-11 Freedom - 12:00 p.m.
10-12 Freedom - 1:30 p.m.
11-13 Freedom - 3:00 p.m.
Congratulations to the 6-8 and 7-9 teams on their wins!! Everyone of our teams played hard and did a great job! Keep playing hard, practice hard and pick dominate!! Attention!! Some Xenith Helmets are being recalled. Please click the link to see if you might have one of the recalled helmets! Show your Game Day pride! Win a Pizza Party for your team! Announcing OUR FIRST social media contest! We all know that these new uniforms are awesome, and the players look great in them. Let’s show our team spirit! We want your best team spirit videos! For Game Day tomorrow, submit your video of your team psyched up for their first game. The best video submitted will win a PIZZA PARTY for the winning team! First, if you haven’t done so follow hampstead_ravens on Instagram. Then, record your teams pre-game celebrations/ warm up. The videos will be liked by hampstead_ravens profile. Where you should be able to see them all. Then as Instagram users, you can like any of the videos by clicking on the heart, or double tapping the video. You may like as many videos as you want. Voting will close on Sunday night. Winning team will be announced next week! Without the tags #hampsteadravens #pregame, videos will not be counted in the contest. Feel free to add any additional comments you like to your post! Hello, everyone! Team Pictures are on Monday 8/22 @ Lions Club. Full schedule to be posted later today.